Copper-plate line engraving by Frederick Smith after John Constable R.A. Published August 12th 1829 by Colnaghi Son & Co., Printsellers to the King, Pall Mall East & by Mr. Folker, Brighton. This print was first published with the single word title of ‘Brighton’, but seems to have been quickly changed, under the same publication line. 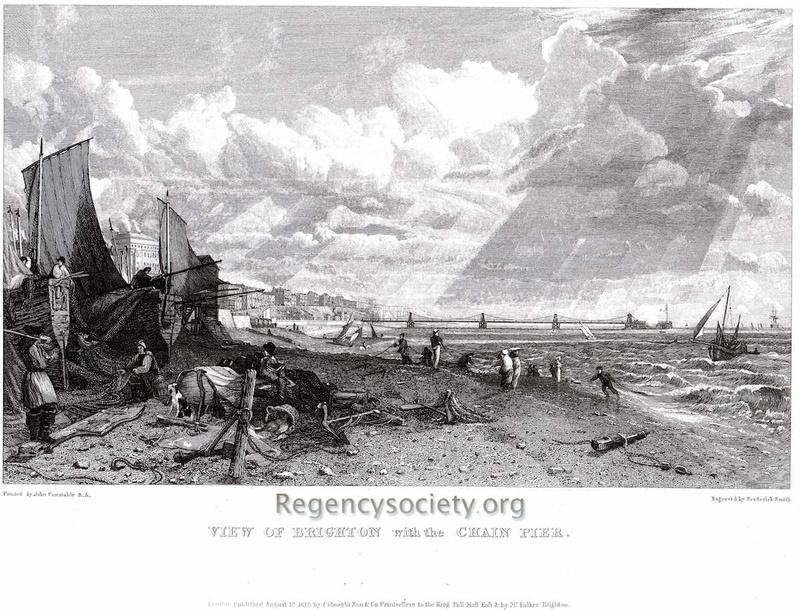 This is the only engraved image showing Brighton that Constable produced. 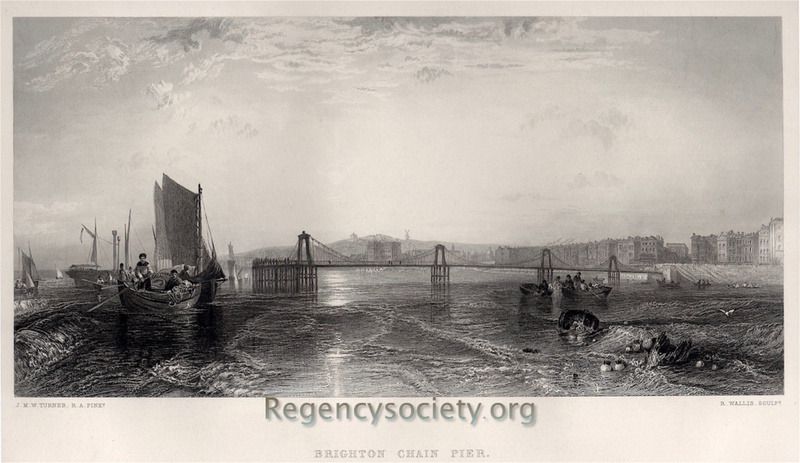 Folker seems a strange choice of published for Constable, the only other Brighton prints he is known to have published were four mezzotints under the title ‘The Beauties of Brighton’. These were not portraits, but views of The Pavilion, the Chalybeate, the Beach and Almack’s Card Room in the Castle Hotel’s Assembly Rooms. William Almack had established very exclusive members’ clubs in London, Mrs. Fitzherbert was a member and the members obviously met in Brighton during the season. Samuel Shepherd Folker was born on 30 September 1789 in King’s Lynn. He appears in Brighton around 1820 with various listings for a Glass Warehouse & Picture Frame Manufactory. He was often recorded as Carver & Gilder to His Majesty at an address in North Street / Royal Colonnade, the Royal Warrant probably being for work he undertook in the Royal Pavilion. He appears to have branched out into works of art and publishing in the mid-1820s. His last address in Brighton was in Meeting House Lane in 1837, the same year that he died. His will was recorded in 1839 and can be seen digitally on the National Archives website.